Our students need to be able to recognize the structure and function of various organelles found in cells that make up living things. They need to be able to recognize the mitochondria and explain the function of it. They need to be able to recognize the nucleus and explain the function of it. They need to be able to do this for all organelles and structures found in cells. 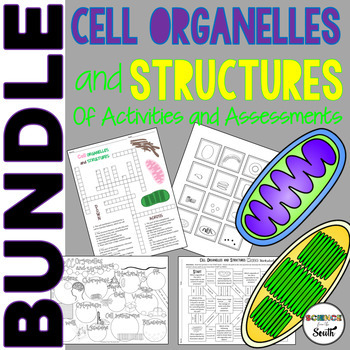 Using the resources in this bundle will allow your students to explore, investigate, and learn about the structure and function of these organelles. Do you need a bundle with activities and assessments for teaching your students about mitochondria, the nucleus, chloroplast, the cell membrane, the cell wall, ribosomes, and more? This is for you!